Only fourteen days since the first reckless motorcyclist was arrested in 2014, and now we have Jason James Overhuel of Keizer, OR., exhibiting a new era of motorcycle excellence. On January 17, 2014, an Oregon State Police (OSP) trooper stopped to assist a motorcyclist whose motorcycle broke down during the evening. During the contact of the motorcyclist, Mr. Overhuel, age 30, told OSP officers he was waiting for gas but denied operating the motorcycle. The OSP officers learned that Mr. Overhuel’s operator license was suspended. After roadside assistance arrived, Mr. Overhuel was WARNED not to operate the motorcycle because his license was suspended. If he did and OSP spotted him, he would be cited and the motorcycle would also be towed and impounded. After sleeping on it… and what can only be described as an epic misunderstanding of the OSP troopers words of advice. At approximately 10:31 a.m., the next day, the same OSP trooper that had stopped to assist the disabled motorcycle saw a motorcyclist riding southbound on Interstate 5 near milepost 257 at a high rate of speed. 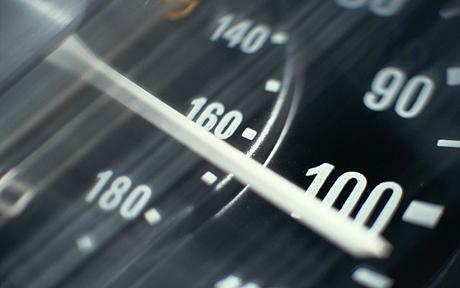 The trooper overtook the speeding motorcycle and obtained a speed reading of up to 102 mph, using all 3 lanes to pass slower traffic and failing to yield to the trooper’s emergency lights for a brief period until stopping. After the stop the OSP trooper confirmed that it was Mr. Overhuel. OSP arrested Mr. Overhuel for reckless driving and he was also cited for violation Driving While Suspended. And as previously communicated, the motorcycle was towed and impounded. Mr. Overhuel looks to be stuck in a below-average eddy and it will take a lot of rowing to get out. 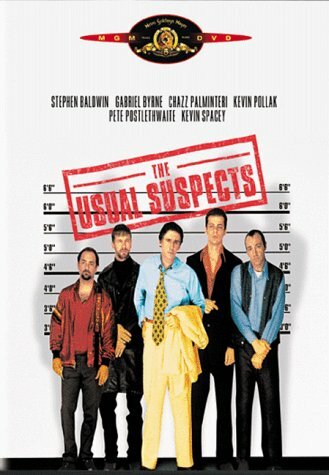 Keyser Söze is the fictional character in the 1995 film The Usual Suspects. It’s a great movie and in pop culture slang Keyser Söze is a shorthand reference to being fooled by the actual villain into believing in a villain that doesn’t exit. That’s how the “Does anyone else feel they’ve been Keyser Sözed?” or the “Keyser Sözed Syndrome” was born. We’ve seen several motorcycle rallies get Keyser Sözed over the past year. 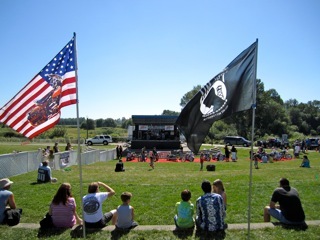 Typically the villain is the gloomy economy in cities which can’t support a motorcycle rally cost, but a contributing factor has been the perception issue of ‘biker clubs’ (villain that doesn’t exit) and concerns for additional peace officers to secure the event and their costs. 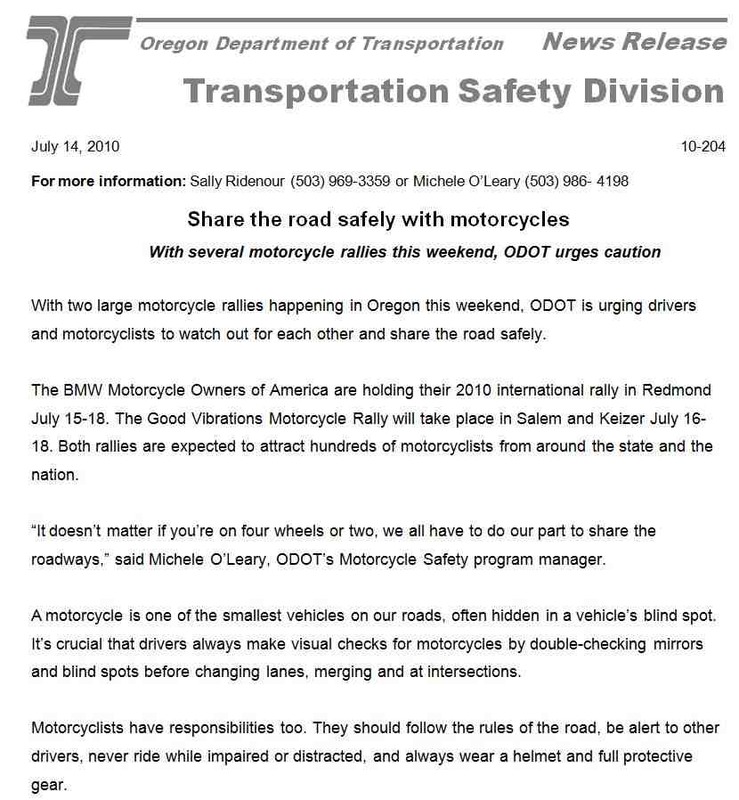 Peace officer expenses have been named as one of the top expense issues for motorcycle rallies across the U.S.
None of this is stopping Randy Burke, President of Road Shows Inc. (Street Vibrations fame) from working on a motorcycle rally in Salem/Keizer, OR at full throttle. Keizer city council has yet to make any commitment to the July 16-18 event beyond voting to try and secure some funding. Will Oregon get Good Vibrations or suffer the Keyser Sözed Syndrome? Who knows. But, Sherrie Gottfried, sales manager at the Keizer Renaissance Inn is hoping for good vibes. She made a pitch to the city council last month vying to have Keizer be the “hub” of the event. This is the first year for this event which was already scheduled in Salem (although little info exits about the event there) and it now looks like Keizer wants to draft behind the 3-day event. 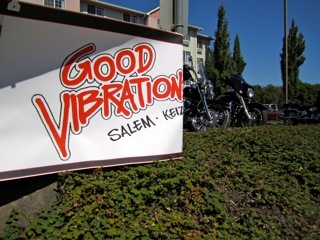 The Good Vibrations rally will likely have bike competitions, bike shows, entertainment, concerts, poker runs, wine country tours and is expected to attract thousands to the area. Who is Randy Burke (aka Roadshows Inc.)? I’ve provided shouts out in the past HERE for his efforts to make Street Vibrations a success. His company, Roadshows Inc. is a private company categorized under Entertainment Promotion and located in Reno, NV. Online records indicate it was established in the ‘90’s and incorporated in Nevada. Current estimates indicate the company has an annual revenue of $500,000 to $1 million and they employ a staff of approximately 5 to 9. They are also a fully licensed entertainment booking agency, licensed private event security and event management company. 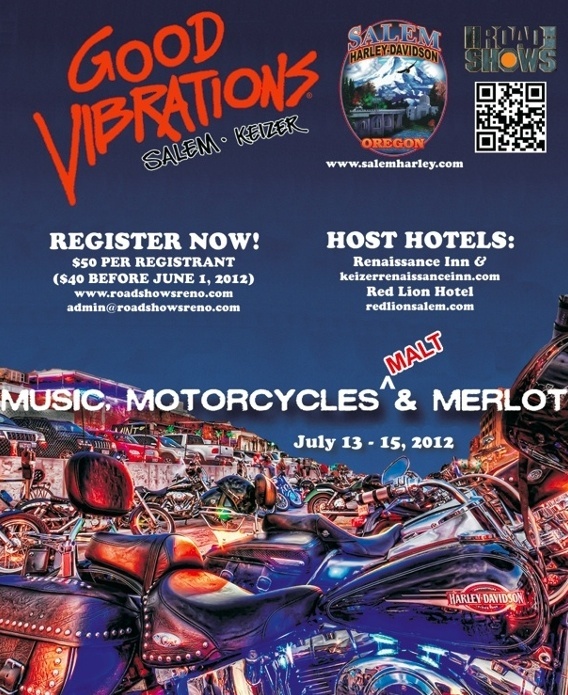 In addition to Street Vibrations, they produce events in Palm Springs, Lake Havasu, Mammoth Lakes, Myrtle Beach, SC and Milwaukee. 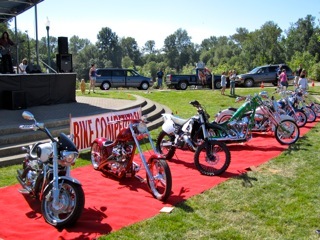 With more than 17 years in the event business they know how to make motorcycle rally magic! I think this is a unique opportunity for a bike event in Oregon which can grow and is a perfect complement to the northwest activities already underway. It’s time for a major motorcycle rally in the state! Full Disclosure: I’m not affiliated or do business with Roadshows Inc.